You should be used to it by now, Dell continuing to invade brick and mortar stores. So it's no surprise that the Dell® Inspiron™ 1521 notebook at $750 is the spotlight laptop deal of Staples. The 1521 is powered by an AMD Turion 64 X2 DC TL-58 brain, has 2GB RAM, 160GB disk, 15.4" widescreen, super-multi-format dvd drive, and Vista Premium. Not to be outdone by Dell, HP is offering the HP Pavilion DX6650 for $750 as well, after a $50 Easy Rebate. This laptop is powered by a Centrino Duo Intel Core 2 Duo T5250, 2GB RAM, 200GB, 15.4" wide-screen display, SuperMultiFormat DVD burner with LightScribe, 802.11a/g Pre-N too, built-in webcam, and the obligatory Vista Premium. But if you are bargain hunting, the Compaq Presario F730us is offered at just $430 after EasyRebate! The EasyRebate is $30 and can be submitted online, no need to cut/mail UPC codes and such. The F730US is powered by an AMD Athlon 64 X2 DC TK-55, 1gb memory, 120gb disk, super multi format dvd burner, 15.4" widescreen with lightscribe, b/g wireless LAN, and of course Vista Premium. Not bad for $430! For the times you are sitting on a desk at home or the office or the home office, there's a 19" Envision LCD monitor for just $160. If you prefer a larger screen, the 22" widescreen Envision is just $250. Not bad eh? Dell has two Dell Inspiron specials for y'all, continuing until January 2, 2008! First up, the Dell Inspiron 1520 Notebook $700 after $150 instant savings . This features an Intel Core 2 Duo T5250 processor, 2gb memory, and a dvd-rom/cd-burner at that price. As with all Dells, you can always customize it your way. If you prefer a more powerful laptop, the Dell Inspiron™ 1721 Notebook is $1000 after $323 instant savings . This features an AMD Turion 64 X2 mobile TL-58 processor, 160gb hard disk drive, and 2gb memory. Office Max, the home of NO REBATES, has two laptops advertised in the spartan ad-wise Sunday paper. first up the Acer Aspire AS5270-4171 for $600. This is while supplies last and may be special ordered at some of the stores. Check with your local stores for availability. It offers an Intel Pentium dual core T2310 processor, 2gb DDR2 memroy, 200gb hard drive, dvd burner, b/g wireless, built-in memory card reader, built-in webcam, 15.4" widescreen and the obligatory Vista Premium. Not bad for an all-around laptop! Check it out! The second one is the Toshiba Satelite P205-S7476 for $1000. For that you get an Intel Centrino Duo Core 2 T5250, 2gb DDR2 memory, 200gb hard disk drive, 17" widescreen, HD-DVD ROM with dvd burner, built-in webcam, built-in fingerprint reader, a/g/n wireless, and Vista Home Premium. While supplies last. Some stores may require a special order (eg not available in-store). This is a nice bundle for the multimedia-inclined users as it offers a 17" widescreen and HD-DVD playback for those who have fallen into the trap of committing to BluRay vs HD-DVD before it got settled. Oh the silliness of HD-DVD vs BluRay, but that's another story for another blog. And some accessories of interest, 100-packs of Verbatim DVD-R or DVD+R are $25 each, which comes out to 25c per blank dvd. Not bad for Verbatic at brick and mortar. If you are looking for an extra monitor to use as yoru home or office base when you are "grounded" there is a 21.6" Samsung 216BW widescreen LCD (3000:1 contrast ratio) for $270, and a 20" Sceptre 2148-8212 widescreen LCD monitor (support digital video up to 1080p) for $180. For those on the go, the 4gb Sandisk Cruzer Micro ReadyBoost USB drive (the name is longer than the actual device!) goes for $35, and as always, no rebates! Meanwhile the cash for cartridges is back! You receive $3 per cartridge (max 5 cartridges per person per day) when you recycle Lexmark, Dell or HP. Staples is making a strong comeback with the upcoming circular in terms of laptop offers. For $450 without rebate you can get the Acer Aspire AS4520, as long as they have enough of them left in store. The price is tempting because this laptop offers an Athlon dual core 64 X2 TK-53 processor, 1gb memory, 120gb hard disk drive, 14.1" widescreen display, super multi format dvd burner, built-in memory card reader (nice for this price! ), built-in webcam, and Vista Home Premium. If you don't object to a 14.1" widescreen instead of a 15.4" widescreen display, grab this laptop!. As always of course be sure to read user and professional reviews of each laptop that you might be interested in. It's just a Google Search away! Another Acer is offered, the Acer Aspire AS7720 for $700, no rebates, but while supplies last. This notebook offers an Intel Centrino Core 2 Duo processor T5250, 2gb of memory, 160gb hard disk drive, 17" widescreen display, dvd burner, a/b/g wireless, built-in webcam, and Vista Premium. Of interest particularly to people who like laptops with 17" displays! 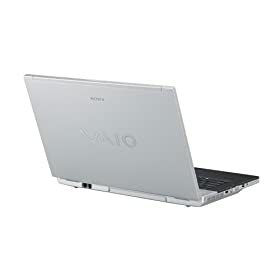 Sony VAIO VGN-FZ250E/B Notebook PC for $1030 today only at Amazon! The gold box deal of the day today (Wednesday) at Amazon is the Sony VAIO VGN-FZ250E/B Notebook PC for $1030 and free shipping. The price is only good for today. Check your Amazon Gold Box to see the special offer. (Yes, the gold box is the thing that looks like it is from a Pirates movie). 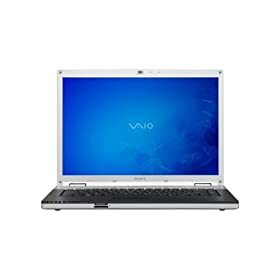 The Sony VAIO VGN-FZ250E/B Notebook PC has an Intel Core 2 Duo T7500 processor (2.2 Ghz), 2gb memory (expandable to 4gb), 250gb hard disk drive (Serial ATA), dual layer dvd burner, 15.4" widescreen LCD display, Intel 4965 wireless NextGen N (along with a/b/g), 10/100 Ethernet, Expresscard 34 slot, firewire, 3 USB ports, SD/MemoryStick memory card reader, built-in 1.3 megapixel webcam, and pre-installed Vista Home Premium. The laptop itself weights 5.75 lbs, and the shipping weight of the package is 8 lbs. TigerDirect has the Acer laptop 5050-5430 A180-1517 special for $550! The Acer laptop in question offers an AMD 64 Dual-Core 1.7GHz TK-53 processor, 1GB DDR2 memory, 120GB hard disk, 14.1" WXGA screen, built-in Webcam, wireless and Vista Home Premium. It also has a Type II expansion slot, 3 USB ports, 1 SPDIF audio jack, VGA and S-Video out, and lots more. You can also find customer reviews at the Tigerdirect website. You can also checkout with Google checkout and get $10 off, or use Bill Me Later for a special financing plan. Restrictions: Offer may not be combinable with mail in rebates, dollars off, percentages, or select other promotions. One offer may be applied per cart at checkout. Coupon code expires after first 3,000 redemptions or earlier if offer is terminated earlier. The Home & Home Office site and offers contained herein valid only for end users and not for resellers and/or online auctions. Offers subject to change, not combinable with all other offers. Taxes, shipping, handling and other fees apply. U.S. Dell Home and Home Office new purchases only. Purchase limit of 5 systems per order, but coupon discount applies to only 1 system per cart. Limit of 5 systems per customer please. Dell reserves the right to cancel orders arising from pricing or other errors. The XPS notebooks of course are not an entry-level line-up, so keep that mind if you are not familiar with Dell's laptop line up. As you can see, they look very sleek! On top of the coupon, Dell has another promotion running in parallel, they offer promotional Dell gift cards depending on the amount of your purchase. You can get up to $200 in that depending on what you purchase. As always, be sure to check terms and conditions. Refurbished Toshiba Satellite Pro 4600 notebook for $250! We have a bargain price refurbished laptop from Tigerdirect that might be of interest: It is the refurbished Toshiba Satellite Pro 4600 for $250. This blast from the past laptop has an Intel Pentium 3 (1ghz), 256mb SDRAM, 10gb hard disk drive, CD-ROM, a 14.1" XGA 4:3 screen, 10/100 LAN, floppy disk (yes floppy! ), 7.4 lbs, and Windows 2000. It also has track-point and mouse buttons controls, two PCMCIA slots, one VGA port, S-Video out, and such. Be sure to check the Tigerdirect page for details on the warranty, returns/exchanges, etc. Again, please keep in mind that this is a refurbished laptop! Tigerdirect is also running a Google Checkout promotion where you get $10 off a purchase of $100 when you pay through Google Checkout. And if you are looking for a value priced 24" widescreen stand-alone LCD monitor for your laptop or desktop, Tigerdirect has a promo for $350 on this 24" Acer, which features 5ms response time, 1000:1 contrast ratio, WUXGA 1920x1200 resolution, DVI/VGA inputs, silver color, 400 cd/m² brightness. Please keep in mind that the specials are while supplies last or Monday noon eastern time - whichever comes first! Toshiba Satellite A215-S7433 $700 at Buy.com! The Toshiba Satellite A215-S7433 is offered at Buy.com for the round price of $700. The Toshiba Satellite A215-S7433 features an AMD Athlon 64 X2 Dual-Core TK-55 processor (1.8GHz 512KB L2 Cache), 2GB memory, 160GB hard disk drive, SuperMulti format dvd burner with DL support, 15.4" widescreen display, 10/100 LAN, wireless WLAN 802.11b/g, and the obligatory Windows Vista Home Premium. And if you are in the mood for more savings, Buy.com has just launched their new Revolution card which has a unique promotion: You get $20 off your first three purchases of $50 or more. Most of the credit cards offer a discount on your first purhcase, not the first three! So check it out! Buy.com Revolution Card - Apply Now and get $20 off $50 your next three Buy.com purchases! But here we go, this laptop features an Intel Core 2 Duo processor (T7700, 2.4ghz), 13.3" widescreen, 160gb hard disk drive, 2gb memory (ddr2, 667mhz), DL dvd burner, a/b/g/N wireless, Bluebooth, Vista Business, 1 year warranty. Shipping starts at $17. The second offer is: Save $384! Get the VOSTRO 1500 NOTEBOOK For ONLY $599! The 1500 features a 15.4" widescreen, and otherwise similar specs as the Vostro 1400 mentioned above. There's also an on-going limited time offer for free shipping and handling. The free shipping offer is also extended on all electronics, accessories and software: ELECTRONICS, SOFTWARE, & ACCESSORIES: FREE STANDARD 3-5 DAY SHIPPING!